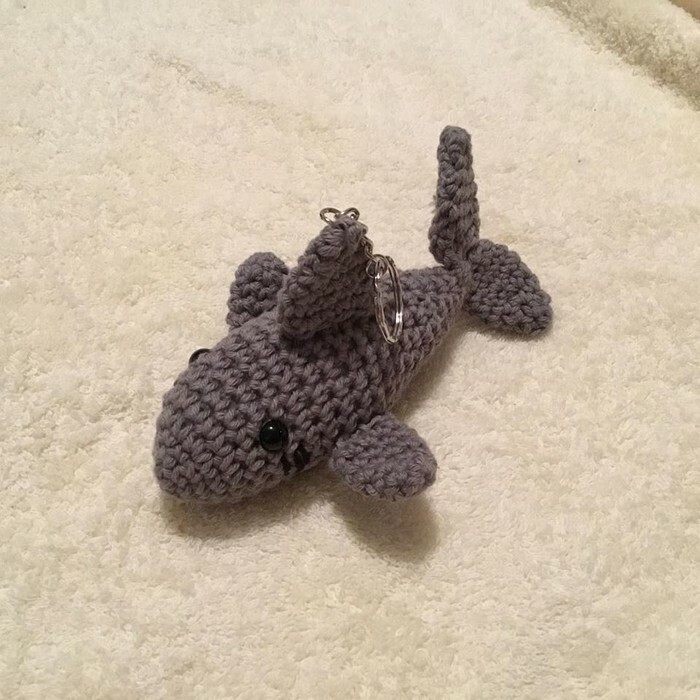 This crochet novelty shark keyring or bag buddy is perfect for adding a unique touch to school backpacks, handbags or your keys. Handmade in a smoke free environment using 100% cotton, safety eyes, a sturdy metal key chain and stuffed with polyester fibre fill. This product can be ordered in a variety of colours. If you are interested in a customised order please message or email us. To purchase multiple items or combine items does not cost any extra in postage. If you live in the Newcastle or Lake Macquarie Area and would like to arrange local collection please use the code 'NewcastlePickup' at checkout.